The Adventures of Huckleberry Finn is a satirical novel considered a timeless classic. A very popular book when it was first published and has been the continued object of study by literary critics even in our days. Criticized upon release because of its coarse language, it became even more controversial in the 20th century because of its perceived use of racial stereotypes and because of its frequent use of the racial slurs, despite strong arguments that the protagonist and the tenor of the book are anti-racist. The book is noted for its colorful description of people and places along the Mississippi River. 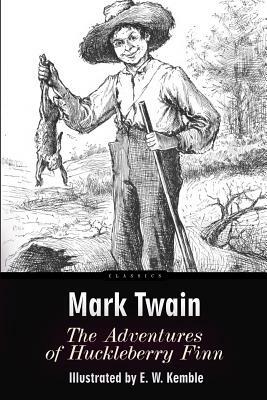 Set in a Southern antebellum society that had ceased to exist about twenty years before the work was published, The Adventures of Huckleberry Finn is an often scathing satire on entrenched attitudes, particularly racism.